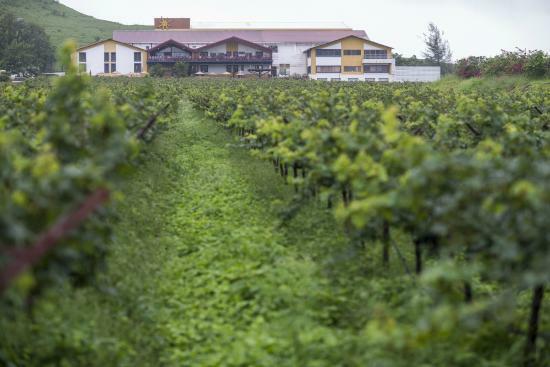 Sula Vineyards has quickly gained a reputation as India's #1 premium wine company since the launch of the company's rst wines in 2000. Sula's award-winning wines are available nationwide at the nest hotels and restaurants, and are also exported to Asia, Europe, the United States and Canada. Sula's award-winning wines are available nationwide at the nest hotels and restaurants, and are also exported to Asia, Europe, the United States and Canada. Sula engages in eco-friendly viticulture and winemaking. "Our Shiraz has a deep purple core and a full body with soft, ripe and rounded tannins. It has medium intense aromas of red fruits, cinnamon, blackberries, cacao and spice. This wine is richly structured with lively jammy flavours of red fruits and herbs mixed with pepper and hints of vanilla spice.